'Kiss Land', The Weeknd's first studio album, is a horror film of sorts. 14. 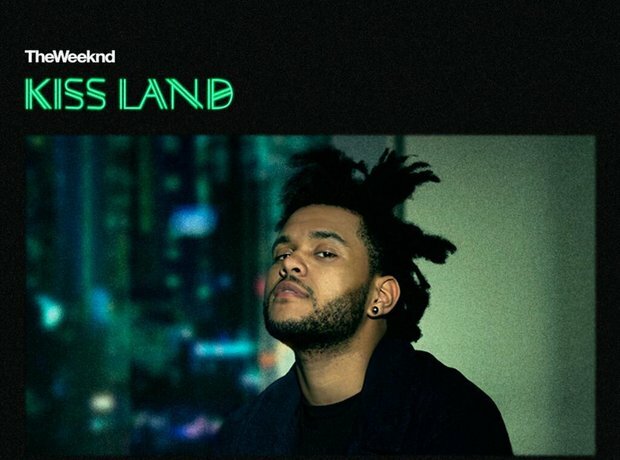 'Kiss Land', The Weeknd's first studio album, is a horror film of sorts. According to Tesfaye: "A lot of it is inspired by filmmakers like John Carpenter, David Cronenberg, and Ridley Scott, because they know how to capture fear. That’s what Kiss Land is to me, an environment that’s just honest fear… So when you hear the screams in the record and you hear all these horror references and you feel scared, listen to the music because I want you to feel what I’m feeling. Kiss Land is like a horror movie."